Tianjin Dong Fang Xian Ke Petroleum Machinery Co,. 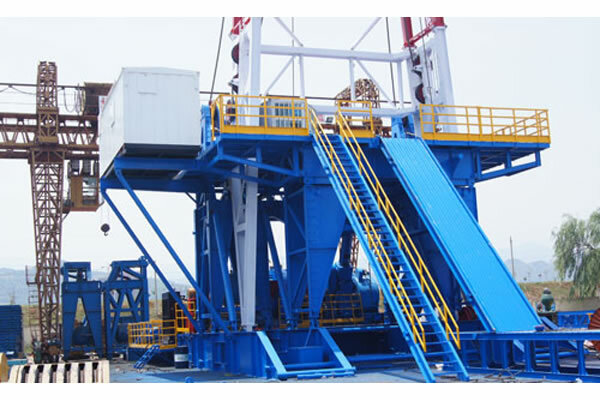 Ltd. independently research and develop high origin, high technology serial modular drilling rig, including truck mounted drill rig, trailer mounted drill equipment, skid mounted drill rig. 1. The power system uses world famous engine with reliable performance. 2. The transmission system adopts Allison transmission case with flexible connection, which features smooth transmission, little impact and long duration. 3. The truck adopts petroleum-purposed vehicle chassis and uses many vehicle design technologies, such as heavy load wide axles, low-profile tires, high intensity main beam, hydraulic steering mechanism, double line brake system, etc. 4. 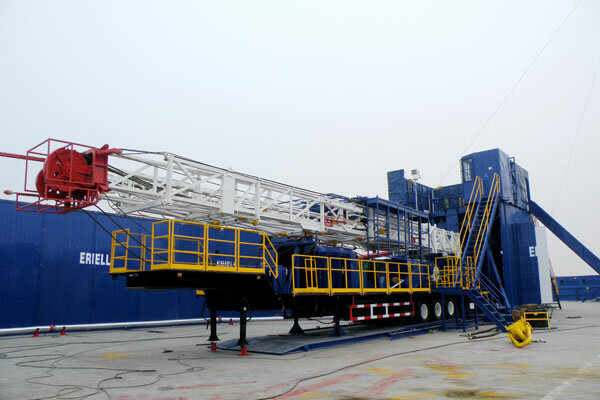 The truck of drilling rig has good cross-country and driving performance, which can satisfy the complicate conditions of oilfields. 5. Centralized control of electricity, gas and hydraulic systems. The main components adopt imported elements of famous brands. 6. The mast is two-section front open and front tilting mast. The raise and fall down of the mast is realized by hydraulic cylinders, which design and manufacture meet with API 4F specification.